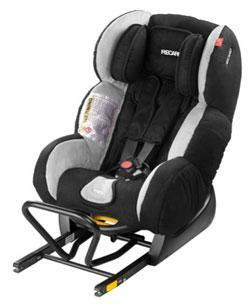 For maximum safety - RECARO Polaric. 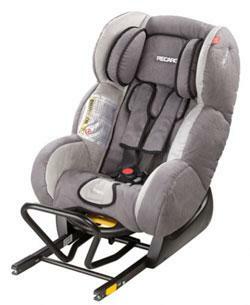 The RECARO Polaric offers a big plus in terms of safety: The fold-away metal floor-support provides additional stability for the seat. The seat is fixed using the car's built-in Isofix anchor points. 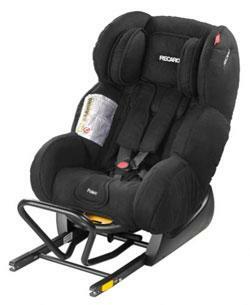 Using two straps at the rear of the seat, it is additionally secured to the front seat of the vehicle and fixed to the backrest using a latch fastener. 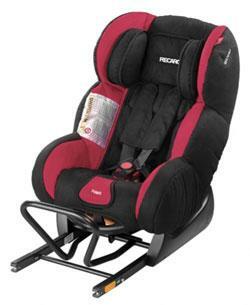 Large side protection shell for safety during a side-on collision and keeps your child secured while cornering. Safety plus: safety harness with covers for excellent fit, and continuously adjustable height. Central adjuster for quick sizing of the harness. 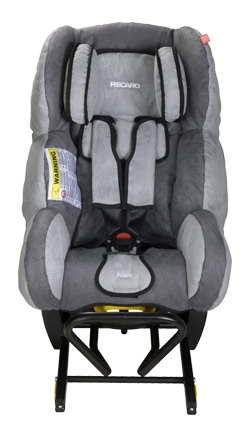 The head cushion, head liners, and covers can be easily removed without removing the belt system. Integrated straps to fix the RECARO Polaric to the front seat preventing the seat from rising up in case of a rear end shunt. 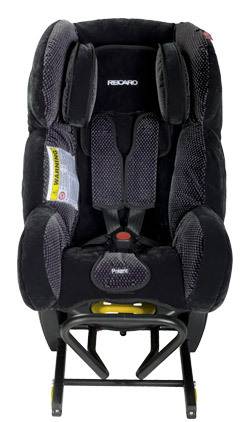 The seat faces towards the rear of the vehicle for maximum safety. High-quality ergonomic foam padding for comfortable long journeys. Maximum safety anchorage by means of the vehicle's Isofix locating points. Seat covers are made with high-quality materials, from trendy microfibre to fashionable Bellini. Covers can be machine-washed at 30°C. PLEASE NOTE: Colours and shades may vary on PC monitors.